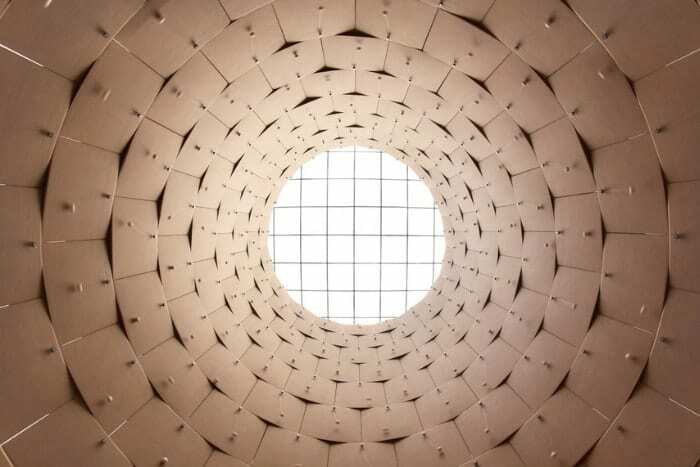 Immersive acoustic exhibition by Swiss artist Zimoun turns up the volume at NYUAD Art Gallery this spring. Close your eyes and really listen to the sounds around you right now. Many times, we feel that we’re in complete silence but if you really listen, we can usually hear some sort of sound — background noise that we might tune out. 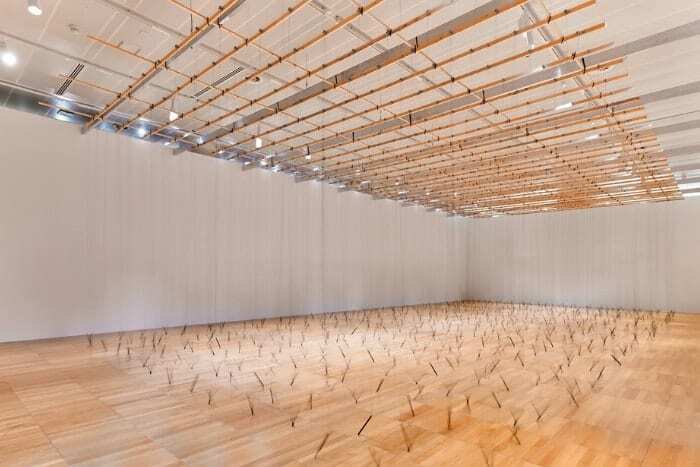 Talented Swiss artist, composer, and musician Zimoun explores such sounds in large-scale art installations that leaves a viewer feeling oddly transported without moving by the sounds that surround us. His work is on view at NYUAD Art Gallery through 1 June, and we encourage everyone to come in and take an acoustic ride through art. 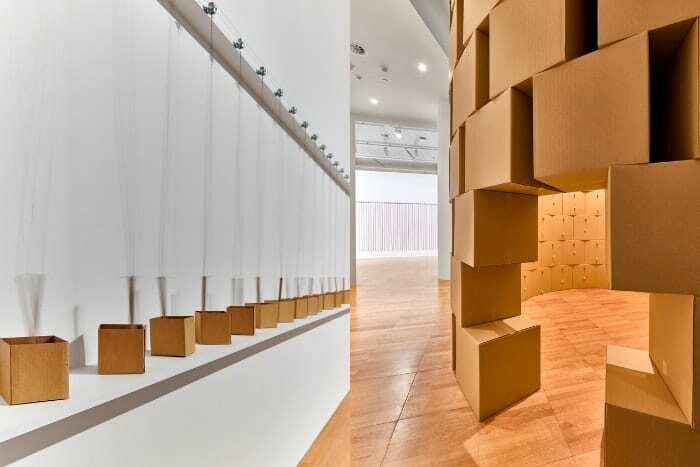 Using simple and commonplace industrial objects, such as cardboard boxes, ropes, and wooden sticks with DC motors, Zimoun attempts to make the visual audible and the audible visible. While the theory may seem complex, your experience within his installations is almost primal; involving almost no thought and only feeling. Zimoun creates chaos from underlying systems of order, exploring elements of biology, engineering, music, and sound within his installation art. When a visitor walks into one of his lo-fi mechanised sculptures, they’re confronted with a unique and compelling visual soundscape, one that simultaneously evokes the urban experience while eliciting almost physical memories of natural sounds (rain, sandstorms, or wind). Zimoun lives and works in Bern, Switzerland. His work has been presented internationally, this is the acclaimed artist’s first exhibition in the region, and it must be seen to heard. Intrigued? Drop by NYUAD Art Gallery to see what that means.